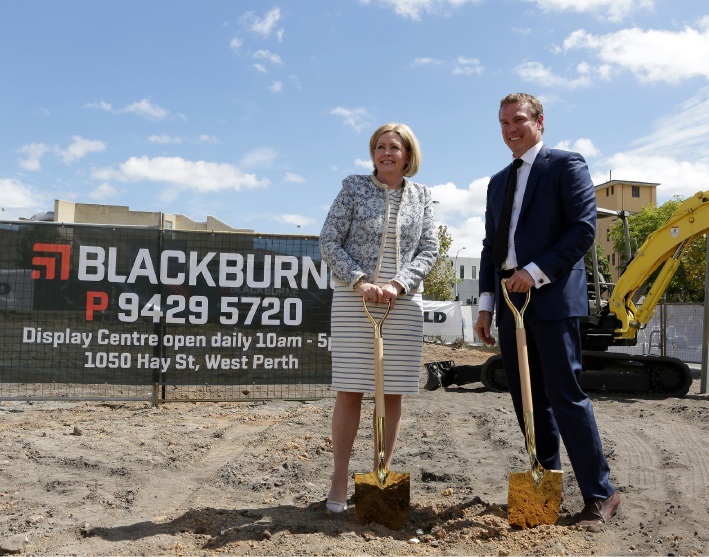 Lord Mayor Lisa Scaffidi, pictured here with Blackburne managing director Paul Blackburne. Picture: David Broadway. LORD Mayor Lisa Scaffidi is refusing to answer questions about her attendance at the Property Council Leaders Conference in 2015. Last Tuesday evening Council voted to approve the Lord Mayor’s attendance at this year’s Conference. The trip will cost $2100 in total, including conference registration, attendance at the welcome dinner, lunch and two nights’ accommodation. Councillor Reese Harley said “there’s been a lot of discussion of this in the media – unnecessarily in my view – it is an important event”. Cr Harley said the application of Chatham House rules at the conference had been criticised by some but was appropriate because “frank discussion” was needed to get constructive results. However, when Cr Harley said he had supported the Lord Mayor attending the same conference last year, the Lord Mayor expressed surprise. “I didn’t ask for approval last year, I just went,” she said. The Guardian Express sought an explanation, putting to the Lord Mayor a series of questions in writing. Asked if the City had paid the Lord Mayor’s expenses to attend the conference in 2015, despite the Lord Mayor not asking for approval, or if the Property Council paid the expenses, and if it was recorded on the Gift Registry or otherwise declared – the Lord Mayor provided a statement that addressed the importance of the event but none of the questions asked. “In line with the City’s transparency measures, it will be an administrative practice to put attendance at conferences and events before Council,” she said – without elaborating on her comment that she “didn’t ask” last year to attend the Conference. “The property market continues to face significant challenges and City representation at the Leaders’ Conference provides an opportunity to share knowledge and discuss the issues we are facing,” she said.